People are panic buying CBD-infused drinks after the Food Standards Agency ruled they should be removed from shops as the EU re-classified the products as ‘novel’, a drinks maker has warned. Companies which sell the CBD products in the UK claim they have seen demand rocket as customers bulk buy in case they are taken off the shelves as a result of the FSA ruling. 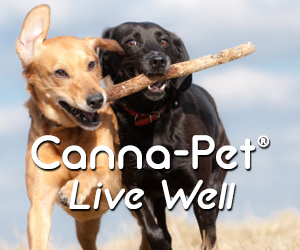 In the last year, new CBD-infused food and drink items – including sweets, cakes, vapes and even products for pets – have been released as the popularity of cannibidiol, which comes from the hemp plant, grows. Green Monkey CBD drink has seen record demand in recent weeks (Picture: Picasa) But in January, the FSA announced it would be taking a firmer stance on CBD foods and supplements, working with local authorities to remove ingestible products from the market that have not undergone a pre-market safety assessment. The head of Green Monkey, the first carbonated CBD drink in the UK, claims he has seen online orders shoot up by over 8000% in the last week and believes it is because customers are stocking up. Theresa May ‘plans to quit this summer to stop Boris taking over’ Green Monkey Drinks CEO, Serge Davies, told Metro.co.uk: ‘The recent news articles about the FSA’s change in regulations has seen demand shoot through the roof. ‘We are the biggest company in the market place, have invested heavily in the science behind the drinks, advertising what we are all about, educating people as we go and building a team – and we are waiting for the FSA to let us know what is going on. ‘CBD is perfectly safe, the World Health Organisation have this week said that themselves, so the lack of information from the FSA is quite disappointing. Toronto Airport Says Please Don’t Start Trying to Climb Into Our Weed Bins.